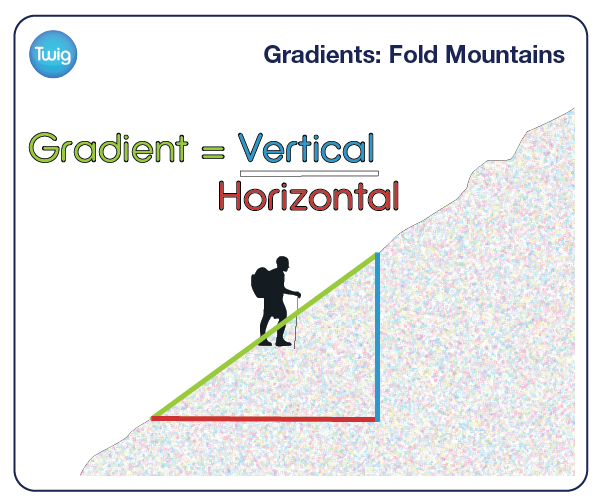 Discover how the steep gradients of fold mountains are created from parallel flats, as angles build by degrees. Created over millions of years, fold mountains form the largest peaks on Earth. But most began life as little more than mounds under the ocean. Fold mountains are formed gradually by powerful movements of the Earth's crust. Extreme pressure between tectonic plates folds rock, forcing it upwards, and these gradual folds add up to create a steeper and steeper gradient. The gradient of a straight line is calculated by dividing the change in vertical height by the change in horizontal distance. At first, the flat ocean bed has a zero gradient – it is flat. Despite moving only a few millimetres each year, folds develop over time, and a slight gradient of 0.1, or 10%, builds up. Over millions of years the fold mountain continues to grow, and as the gradient gets steeper, it rises above sea level. 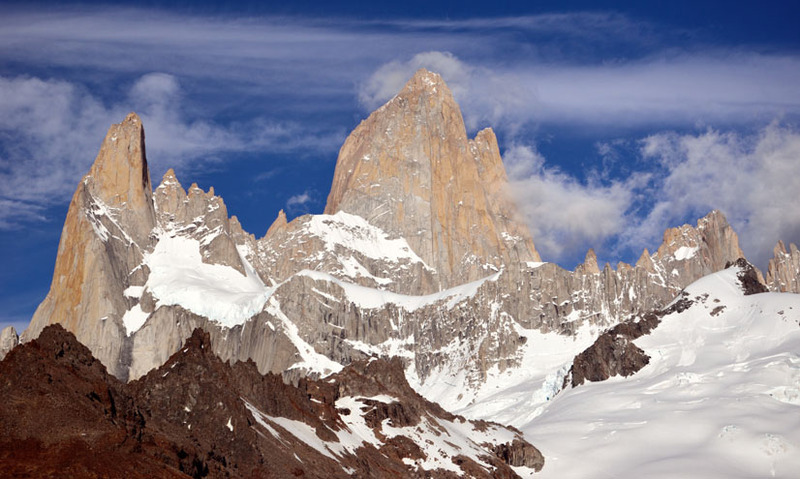 Over time it will grow into a formidable peak – climbers must scale a gradient of 0.4. Eventually, they reach the apex. On the other side, climbers must descend down a similar face, but this time with a negative gradient because the slope is descending. Some fold mountains also have sheer cliff faces with straight drops. Because their vertical distance would be divided by zero, these gradients are said to be 'undefined' or 'infinite'. Even though climbers can measure the gradients of mountains, they can never be quite sure of their calculations. Because each time the Earth moves, fold mountains continue to grow.